In the 1960s, adoptions of foreign babies by residents of the United States were relatively rare. One woman sought to change that trend. 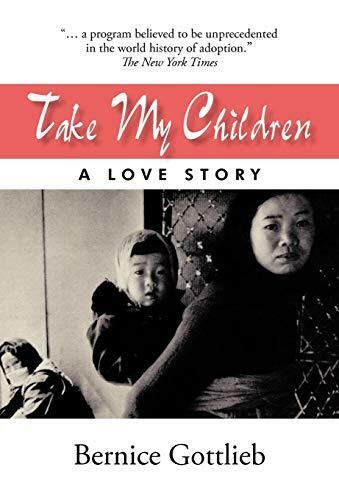 In her memoir, Take My Children, author Bernice Gottlieb shares the story of her involvement in international adoptions. Gottlieb tells not only of her personal experience adopting a baby girl from Korea, but also of her of mission to find homes in the United States for children of Korean families banished to living in leprosy colonies. At the time, leprosy was an ugly word for Koreans, and society sought to separate these individuals suffering from the malady, also known as Hansen's disease. The children of these people often endured harsh discrimination, and their parents wished for a better life for them. 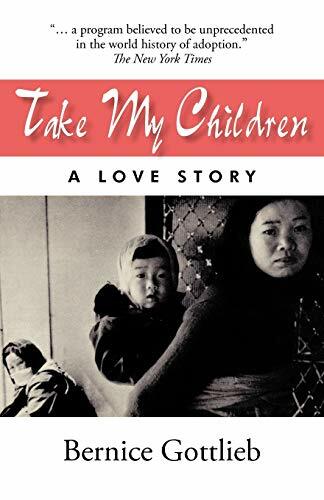 Including touching photos, Take My Children describes how Gottlieb's tenacity helped her to overcome the many hurdles to help these Korean children. It recounts Gottlieb's tireless efforts to find homes in the United States for healthy children of sick parents-efforts that reverberate even today.